Fight or flee. 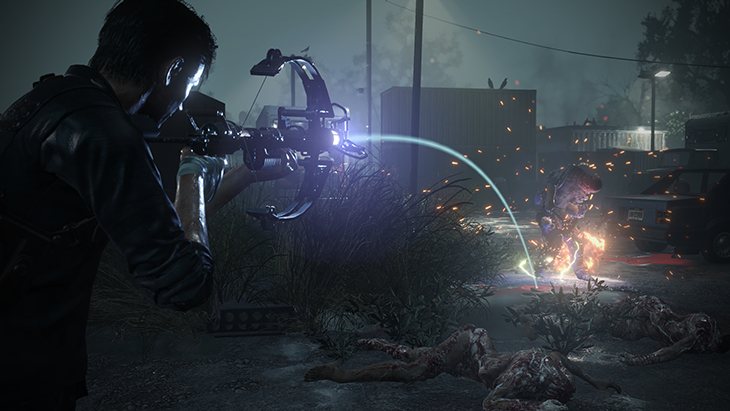 Creep quietly through the world, a silent killer with a mission – or set traps and lure enemies to their deaths. 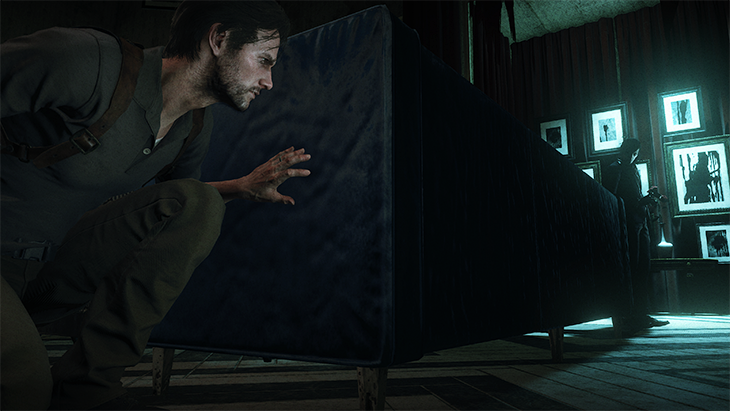 In The Evil Within 2, you can carefully plan your every move. And all the while, you’ll have special customization options for both Sebastian and your gear that will help you play the way you want on your mission to save your daughter. 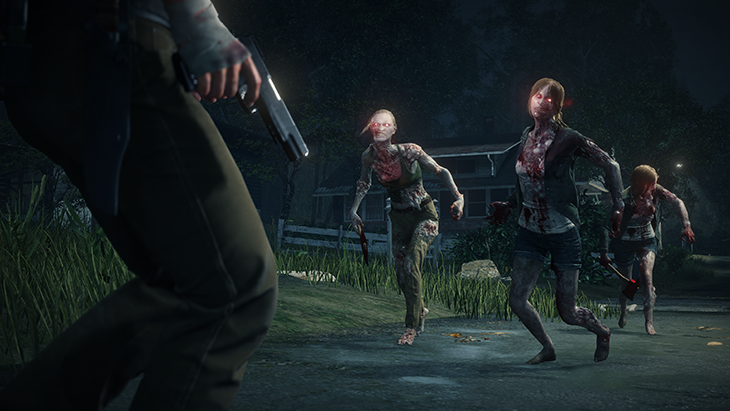 With larger areas and a heavier emphasis on player choice, you’ll have even more options to choose how you’ll survive when you descend into the nightmare. 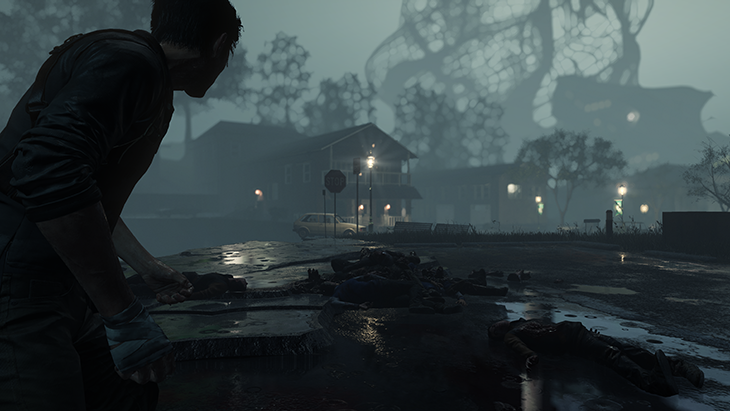 You may have more agency, but this is still a survival horror game. You won’t be able to turn Sebastian into an invincible killing machine. You can make him hardier, faster, and “sneakier”… however, you’ll still need to be smart. You’ll never be safe in Union, but you can be prepared to face whatever awaits you at your own pace. Customizing both Sebastian and your preferred gear is more flexible this time around. Green Gel is no longer required to customize both Sebastian and your weapons, so you won’t have to agonize over which you want to spend your hard-earned resources on. The Gel will be used solely for upgrading Sebastian, while Weapon Parts will be used to upgrade your arsenal. Customization for Sebastian breaks down into five categories, which include parameter upgrades like “recover more health from healing items” and “reduce reticle sway when firing weapons.” You can also unlock special abilities, but these will cost you a significant amount of Green Gel. For example, if you’re investing in the Combat tree, you could unlock an ability called Bullet Cascade, which will (temporarily) increase shooting damage with each consecutive shot. Bullet Cascade ends when either the time is up or you’re out of ammo. These abilities are active skills that could make your trip through Union just a hair easier if you’re willing to save up the resources required to unlock them while potentially sacrificing other important passive upgrades. Health – Dropping some Green Gel in the Health tree will give you the chance to survive an attack that might have otherwise killed you. This is also how you increase Sebastian’s Life Gauge. Stealth – In addition to an increased movement speed while crouching, the Stealth tree can allow you to perform Sneak Kills from around a corner while in cover. Combat – If you’re building a more rough-and-tumble Sebastian, the Combat tree will help you increase the damage of your melee attacks and decrease the kickback when firing weapons, among other upgrades. Recovery – The Recovery tree is for players who know how tough surviving this nightmare is going to be for Sebastian. 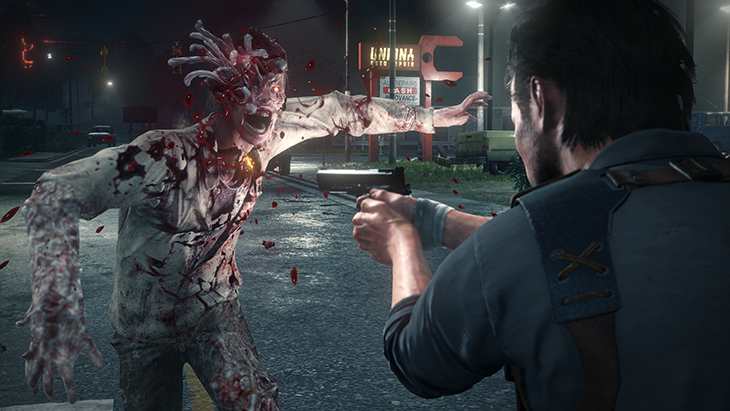 Upgrades here include an increased health recovery speed when regenerating from near-death status, and the chance to automatically use a Medical Syringe when taking fatal damage. Athleticism – For the Sebastian on the go, the Athleticism upgrade options will let you increase your Stamina Gauge and give you a chance to auto-avoid certain types of incoming attacks. Within the weapon customization options for gear like your handgun and shotgun, you’ll be able to tweak your firepower, ammo capacity, reload time and fire rate. All of which could save your hide in a tight spot. The Warden Crossbow has an entirely different set of upgrades, though it still requires Weapon Parts. You can spend those parts on increasing the crossbow’s range and decreasing the time it takes to fully aim the weapon, in addition to changing the parameters for the specific types of bolts used in the crossbow. You’ll likely come to favor certain types of bolts over others, whether you’re a fan of the distraction and stun factor offered by the Shock and Smoke Bolts, or you like the destructive capabilities of the Harpoon and Explosive Bolts. Once you’ve picked your preferred weapons and exploration style, you’ll be able to focus your crafting on keeping you stocked up on what you need the most. The items you gather as you explore the world can be taken back to a workbench (either in a safe house, or one you find on its own in Union) and turned into ammo for your various weapons, as well as healing supplies. There will be ammo for you to find in the world, but it’s rare and might not be for your preferred weapons. In a pinch, you can craft on the fly if you absolutely need to, though it will cost more resources than crafting at a workbench.